During the Virtual Undergraduate Town Hall, you will join students from around the world in a virtual mentoring event where you will learn about cutting-edge research in the field of computing. DSW - Through the SIAM community and activities we aim to assist in providing a rich scientific program, mentoring, and career and professional development to students from underrepresented and underprivileged backgrounds who aspire to broaden their experience in research-based professional activities. Apply today to attend the early or mid career mentoring workshops on November 3-4th in Phoenix, AZ. The goal of these workshops is to bring junior researchers and educators together with women already established in their fields. DLS Event - CRA-W is proud to sponsor the 2018 ACM Philadelphia Region Celebration of Women in Computing Conference, bringing together women at the high school, undergraduate, graduate, and professional levels to promote the recruitment, retention, and progression of women in computing fields. The Summer School workshop on Computer Architecture and Circuits will be held on August 16-17, 2018 at Northwestern University in Evanston, IL. This workshop is primarily targeted at women and under-represented minorities who are currently enrolled in computer science or computer engineering graduate programs with an interest in computer architecture and circuit research. 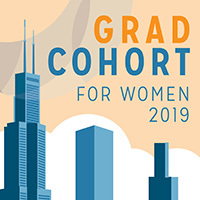 The N2Women workshop aims to foster connections among the underrepresented women in communications, computer networking and related research fields.